Their typical on-resistance is a minimal 15mOhm. Typically 1mA is sufficient to actuate the LED at the input, enabling highly energy-efficient applications to be realized. 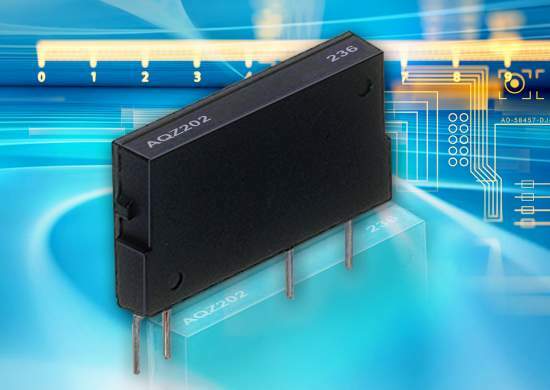 The AQZ relays are therefore ideal in control applications, such as for heating elements, motors or lamps. In addition to the high currents, very low signal loads can also be switched without error. 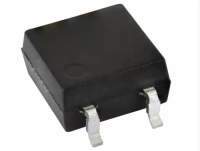 A very low offset voltage enables control of low-level analog signals with no distortion. The low on-resistance and resultant little variation across the temperature range also opens up numerous potential applications in measurement and testing, especially where a consistent loop resistance or limiting voltage drop at the switching contact is vital. 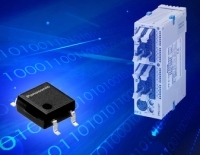 High power PhotoMOS relays are ideally suited for all application areas that require an extremely long lifetime and constant electrical characteristics. The relays are used, for example, to produce maintenance-free PLC output units, industrial machinery, and measuring equipment. The latching type CN-L relay has been developed to conduct the complete power requirements in a vehicle. This relay can be used to disconnect the battery to cut the power off in case of a short circuit, as a main relay for Li-ion battery protection or as a switch for dual power supply. It has been designed especially for automotive applications and features a high shock and vibration resistance. Soldering is out, press-fit is in – this trend is also evident for subminiature switches, the classic link between mechanics and electronics. There are good reasons for this development. 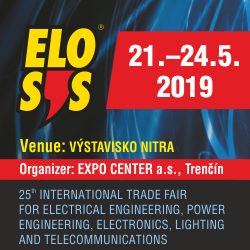 Solder-free press-fitting helps to optimize production costs without the risk of compromising the quality of the connection. 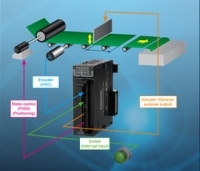 Panasonic’s components spectrum is now extended by a PhotoIC coupler, a device that allows high speed signal transmission combined with an optical isolation between input and output. 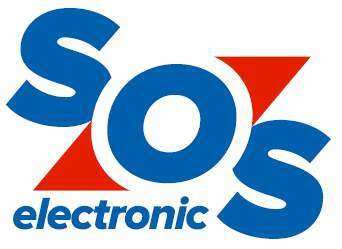 Main applications are in the field of measurement equipment and factory automation. 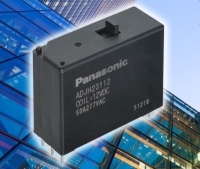 With the new DJ-H relay, Panasonic launches a latching relay to meet the requirements of the IoT and building automation market for switching actuators. These systems are controlled via bus structures like e.g. KNX. The power relay is equipped with a manual lever acting as a test button to allow electric installation service personnel to check circuits. Panasonic completes the FP7 family with the new multi input/output unit AFP7MXY32DWD. This unit is perfect for automatic-fabric-cutting machines as it can control all necessary functions and tasks. AFP7MXY32DWD and AFP7MXY32DWDH support a wide range of input devices such as encoders and two-wire sensors. The total number of external inputs is 16. 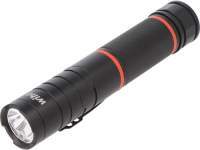 The outputs (total number: 16) support ultra-high-speed pulses and dual polarity.